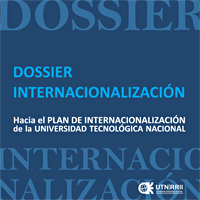 Information about the exchange offers with the UTN is centralized at the Secretary of International Relations in the headquarters of the Universidad Tecnológica Nacional, Rectorade. 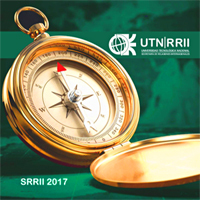 The information is then forwarded to the RRII – Regional Coordinator. 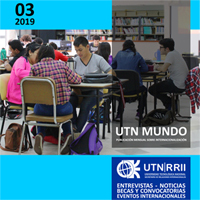 UTN | Regional Faculties and geographical location in the territory of Argentina. Students who wants to conduct a semester of study at the UTN, please complete the following information. This information should always be sent by the coordinator of the Office of International Relations of the sending University. 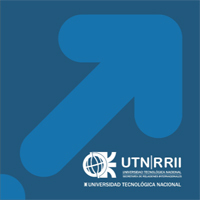 Agreement of Cooperation between the home university and UTN. At present, the UTN is in the process of re-structuring level exchanges with the world. If there are no agreements with the UTN, contact us for other options. Certification of having been chosen by the home university as an exchange student. Sufficient knowledge of Spanish language. Sufficient financial support to obtain a residence permit as an exchange student. For studies in specific research departments, it may be necessary information attached. 1st Semester, March to August: 20th November. 2nd semester, August to December: 20th May. The requested documentation must be sent by mail and a copy via e-mail. Curriculum Vitae in Spanish language. Copy of the latest academic records issued by the home university, in English, including explanation of the grading. Confirmation by the sending university that the student is under an exchange program as an exchange student. Contact person at the University of Origin (coordinator of the exchange program). International health insurance coverage form and a copy of the contract. Recognition of hazards and acceptance of responsibility. Only complete applications will be accepted with all the requested documentation, not otherwise taken into account. The documentation of the students must be sent through the exchange program coordinator of the University (partner university).See Checklist. All documentation must be submitted in A4 format. Not all Faculties of UTN have accommodations, so foreign exchange students are housed in shared apartments or houses with other students. The Department of International Relations in each Faculty has a list of contacts, and can be made available to students once they complete the requirements for admission. Shall be valid for at least 1 month duration of the exchange. This information can also be sent prior to the arrival of the student. Costs of maintenance (food, travel, etc.). Spanish language requirements are very important because most studies are conducted in Spanish, the necessary level is B1. In the case that students wish to take courses of Spanish, is coordinated with the Faculty to develop a supply line with expectations, and levels of requirements. The Faculty provides specific information. It helps to have this information prior to the arrival of the exchange students, to improve the coordination of language courses.